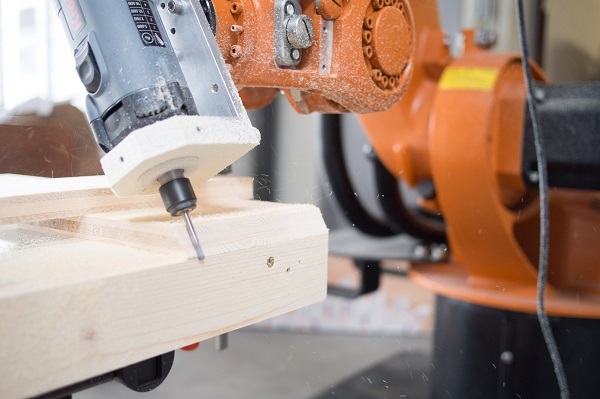 We have updated KUKA|prc with a range of new features, including an entirely new interface for the Rhino 5 version, the brand new KUKA KR6 Agilus robot, and a new milling spindle, amongst others. The Rhino 4 version of KUKA|prc works with both Rhino 4 and 5, while the Rhino 5 version works exclusively with Rhino 5. Please note that there is a new licensing strategy for the Rhino 5 version, please contact us in case you run into any problems. The download contains KUKA|prc for Rhino 4 and 5 in separate directories. Please download it from the KUKA|prc page.